Dental health, for both children and babies, is a critical part of the human development, affecting appearance, speech, self-image and overall health. While children’s teeth are developing and growing, it is extremely important to entrust your children’s dental health to a specialist. Pediatric dentists not only dedicate their time and talents to the treatment small children but also to babies. 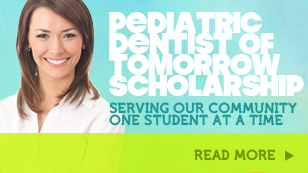 Almost as early as infancy, children can greatly benefit from the care of a pedodontist. As a baby dentist, Dr. Jensen knows how to best care for new teeth just beginning to break the surface of the gums. He can help parents ensure their baby’s health as the teeth begin to grow. While baby teeth are temporary and hardly encounter food, they should be well taken care of as early as possible, promoting the healthy growth and development of permanent teeth later on. Most parents do not know that dental cavities can develop early in baby teeth. It is commonly known as baby bottle tooth decay because it is usually brought about through baby bottle feeding. Even before they start taking solid food, babies’ teeth are at risk. By seeking the help of a baby dentist, babies can be spared from tooth decay and learn the beginnings of healthy dental habits. Regular semiannual visits to a Pediatric Dentist, starting about 3 to 6 months after the first tooth comes in, creates a healthy and encouraging relationship between a dental professional and a child. For parents in Las Vegas, locating an experienced pediatric dentist is easy when you come to Smile Reef. Dr. Jaren Jensen at Smile Reef has made the dental office safe, calming and above all, fun. Partnering with a good Las Vegas pediatric dentist can be a parent’s first step in ensuring their children’s dental health and eventually their well being as adults. Please share Smile Reef with your friends!